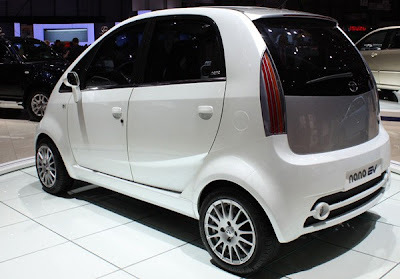 Tata Motors just debuted an electrified version of their Nano today at the 80th Geneva Motor Show, promising no compromises in the way it drives compared to the regular 600cc Nano. 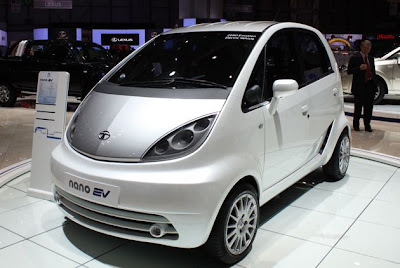 The Tata Nano Electric Vehicle (EV) will be built on the existing Nano platform, and still seats four adults, but adds "super polymer lithium ion batteries" to the mix. No word on power, but Tata does promise a range of 160 kilometers (99 miles) and acceleration of 0-60 kilometers per hour in under 10 seconds. Notice that's 60 km/h, not 60 miles per hour, so the Nano EV isn't going to be one of those instant torque EV drag racers like the Tesla Roadster.